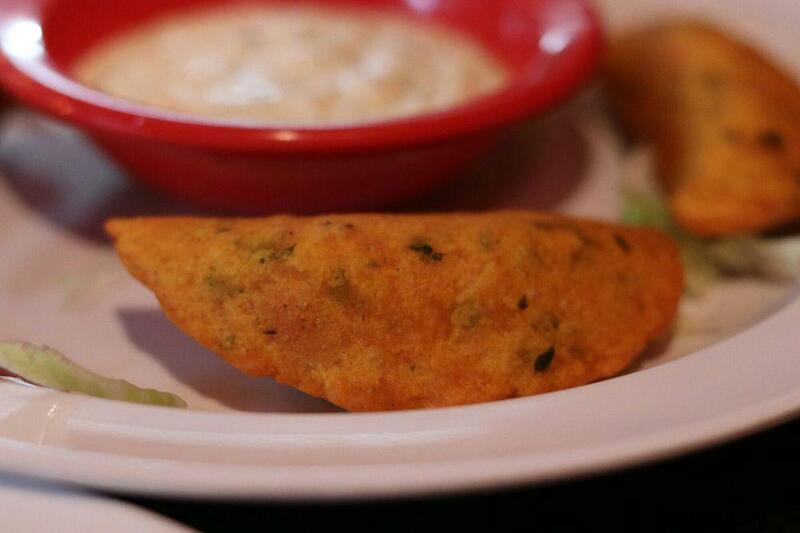 Savor Cuban and Spanish cuisines that will combine many elements of culinary traditions. 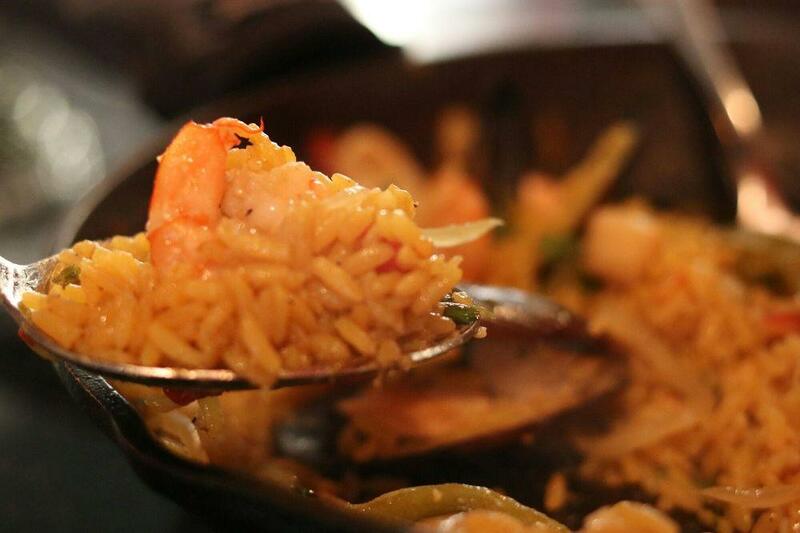 Taste mouthwatering seafood paella, prawns and pies. Order tasty bread pudding, flans and tostones. This restaurant offers you to try delicious Mojitos, margaritas or beer. Get your meal started with great coffee. Select between indoor and outdoor seating. 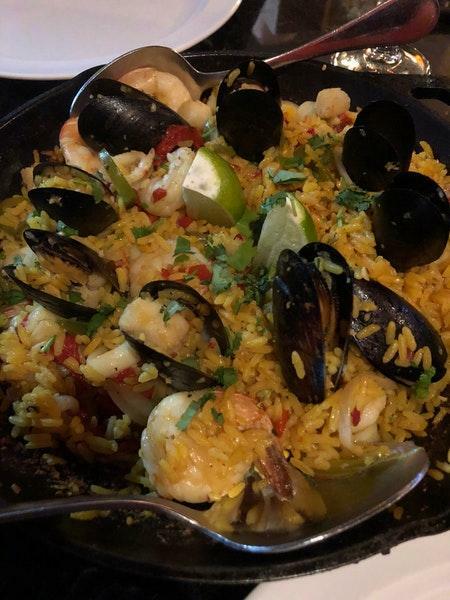 If you look through the guests' reviews, the staff is patient at E. B. Latin Bistro. Fabulous service is something visitors agree upon here. Pay democratic prices for eating at this place. It's usually good to try something new, enjoying the pretty atmosphere. 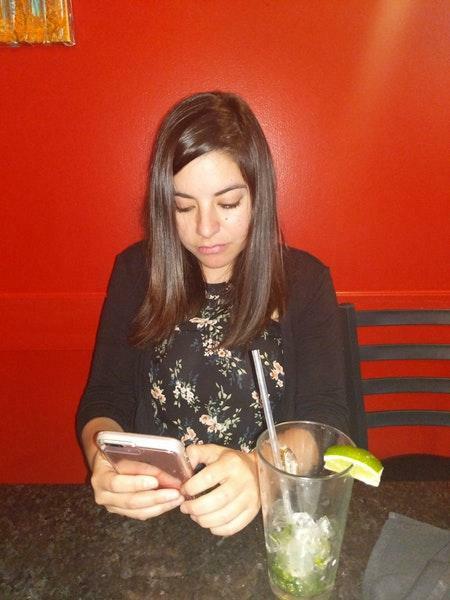 Yelp users rated this spot 5 stars, that means it's a nice choice for having a meal. Mildly spicy white cheese dip served warm. Fresh chopped avocados, tomatoes, onions, jalapenos and lime juice. Fried plantain chips served with garlic dipping sauce. Chicken soup with rice, tomatoes, green onions and cilantro, served with jalapenos and lime on the side. Great paella! The best paella I had so far! Great vibe! This place was a great find! This will be our local place to go to. Thanks E.B. Latin Bistro! See you soon! Great food and excellent service. The flan was good and the churro dessert was quite decadent. The table ordered 2 Cuban sandwiches, a kid's taco plate, and a ropa vieja. The chips were light and crispy. This place is a gem! We'll be back. Far from authentic. Nice attention, otherwise will be one star. It takes so little to do it right, just a little bit of research can make a big difference. 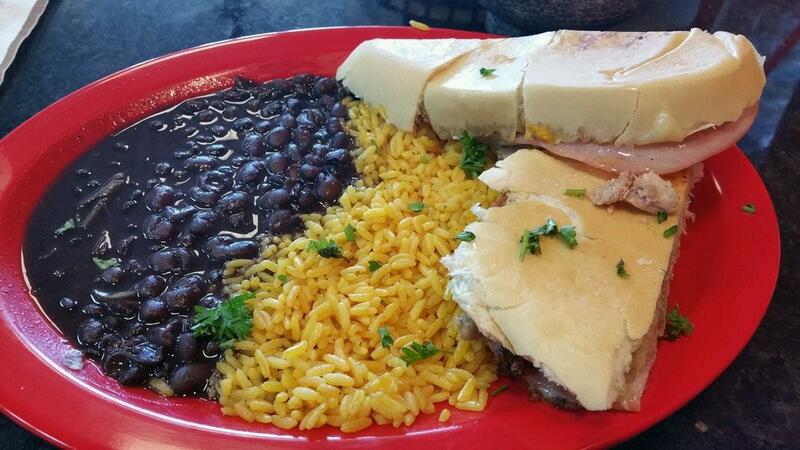 For intance, you don't serve a Cuban sandwich with rice and beans. The seasoning was poorly executed with limited flavor. I don't understand how this is a 5 star. The pork was not marinated enough. The paella was burnt. I have been in all the Cuban restaurants in the dfw metroplex and this cannot compare in authenticity.